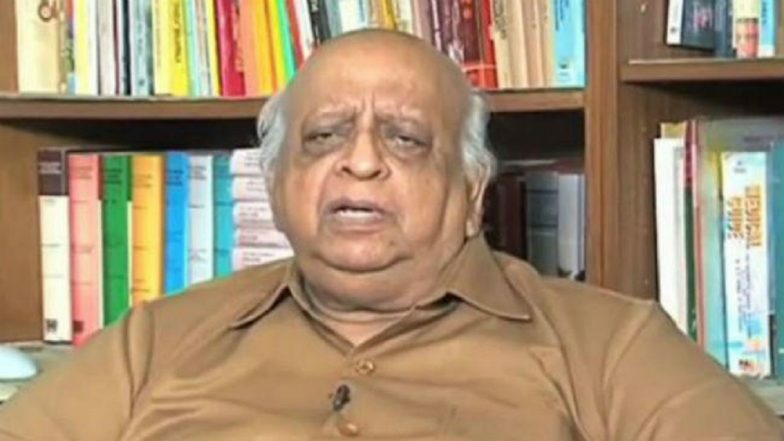 New Delhi, April 15: Former Chief Election Commissioner (CEC) TN Seshan is being actively recalled by a large section of Twitterati in India, where the crucial Lok Sabha elections 2019 is underway. The ex-CEC, who earned the tag of being the toughest poll body chief till date, had the reputation of taking on the tallest of politicians when it came to Model Code of Conduct (MCC) violation. TN Seshan Death News on WhatsApp is Fake! Former Chief Election Commissioner is Alive. Voters recalling Seshan for his crackdown on criminalisation of politics is not a new phenomenon. The common populace has earlier too paid homages to him as and when cases of MCC violation emerged amid major polls. The ex-CEC is now being recalled amid the alleged rampant use of communal sentiments, money and muscle power by leaders cutting across party lines. How TN Seshan - the man who told the world that #ElectionCommissionOfIndia is something - made the things move in right direction? Progressive and autonomous Election commission machinery. Drafted election officials from states other than the one facing polls. Distribution of liquor during elections. Use of official machinery for campaigning. Appealing to voters' caste or communal feelings. Use of places of worship for campaigns. Use of loudspeakers and high volume music without prior written permission. Despite a section of the Twitterati registering their dissent against the current Election Commission, it is worth noting that the polling body is leaving no stone unturned to crackdown on the electoral malpractices. The cash seizures made by the EC this year has doubled as compared to 2014, with over Rs 100 crore being confiscated in raids per day by the polling body. The Commission has also acted against top politicians who violated the MCC during the campaign trail. For his "Ali vs Bajrangbali" remark, BJP leader Yogi Adityanath has been barred from campaigning for 72 hours, BSP chief Mayawati's Muslim outreach in Deoband rally has drawn a 48-hour ban, SP's Azam Khan has been shelved from campaign trail for three days for derogatory jibe allegedly against Jaya Prada, and Union Minister Maneka Gandhi handed a 48-hour ban for "no vote, no work" threat to Muslims.